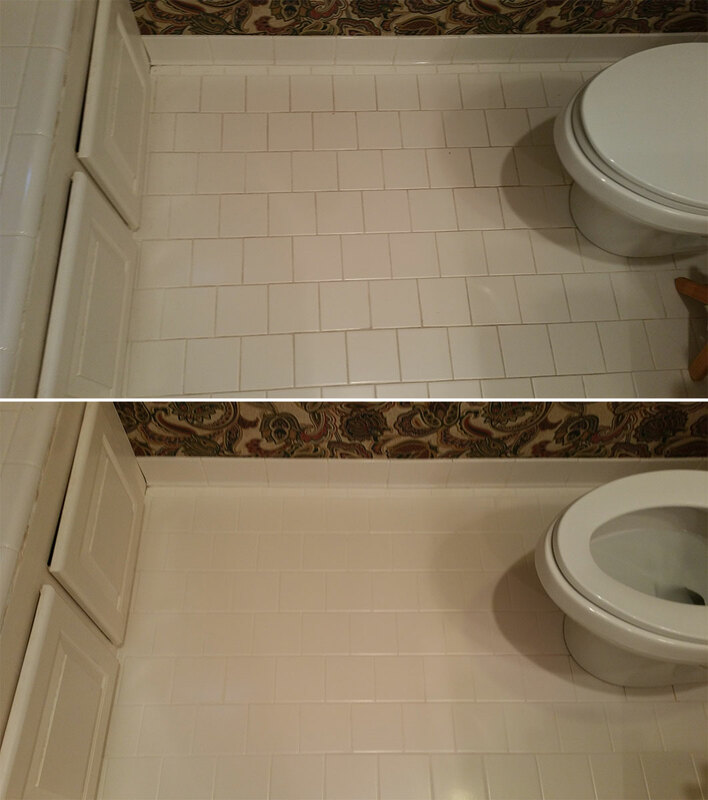 In need of tile and grout cleaning in your Raleigh area home, bathroom, entry way or other tiled surface? 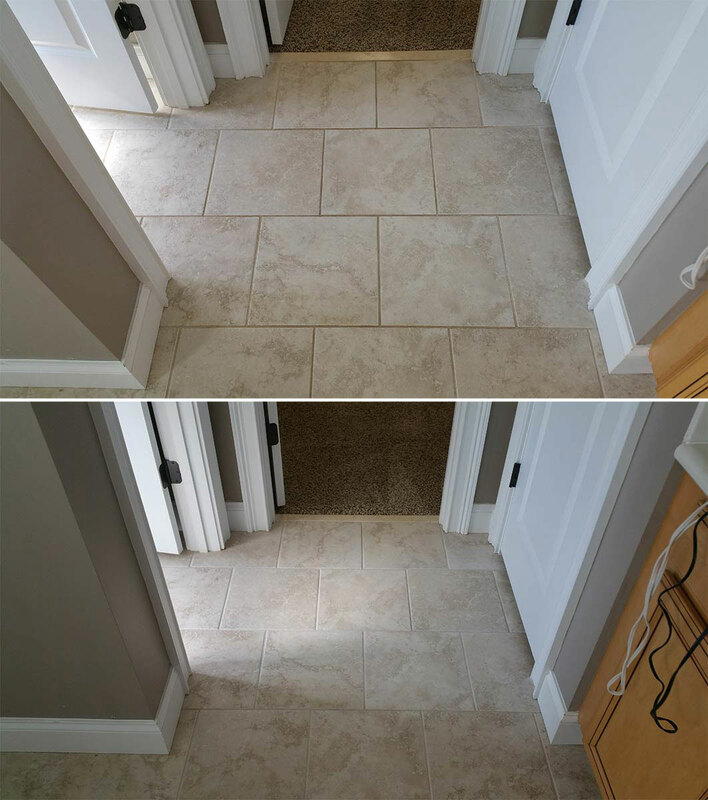 With constant traffic you can turn new looking tile and grout into grungy looking flooring very quickly! Especially when it comes to light colored grout which fills up with all the grime, as it is the lowest point in the flooring. The traditional method of being on hands and knees with a toothbrush just doesn’t cut it anymore! Although you may remove some of the dirt and grime, plenty still resides in the porous grout lines and even some types of tile. And the use of some chemicals can leave an oily residue which will continue to attract even more dirt and grime, forcing you to get down on you hands and knees even more often! Throw out that old toothbrush! 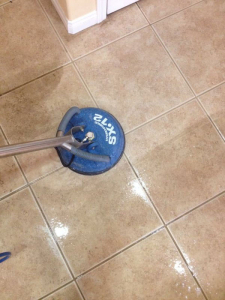 Having the right tool for the job is essential for a professional tile & grout cleaning that will last! Why settle for less? Get the most out of your cleaning! 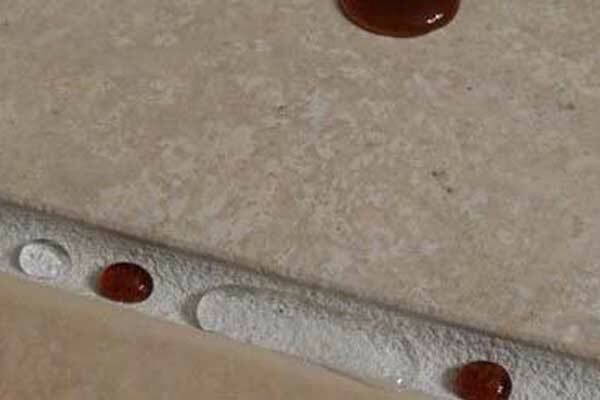 Do You Have Tile & Grout That You Just Can’t Get Clean Or Keep Clean? Contour Cleaning has the solution for you. 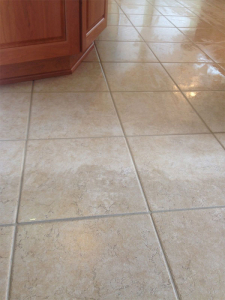 Get thorough grout and tile cleaning in your home, office, bathroom or anywhere its needed and get the job done right. Using pressured high temperature water and our cleaning solutions we can turn gross, darkened tiles and grout lines into like new condition again! Using a pressured rotary cleaner we are able to shoot our hot water and cleaning solutions into the microscopic pores in the grout and tiles and flush out the dirt, all while being sucked up by our industrial truck mounted vacuum. 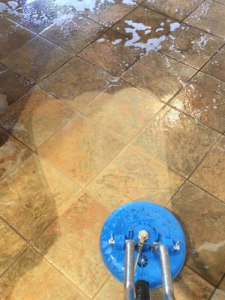 This leaves the tile and grout lines dry within just a few minutes and a clean surface underneath! If your grout lines are ready for a cleaning your old toothbrush just can’t give, give us a call and we would be happy to get the clean you want, without the the wear on your knees, harsh chemicals, or mess afterwords! 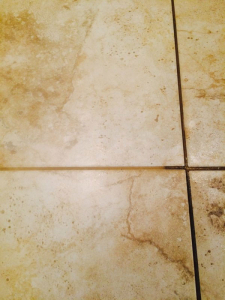 Often we find clients used very harsh cleaners and began to damage their grout. 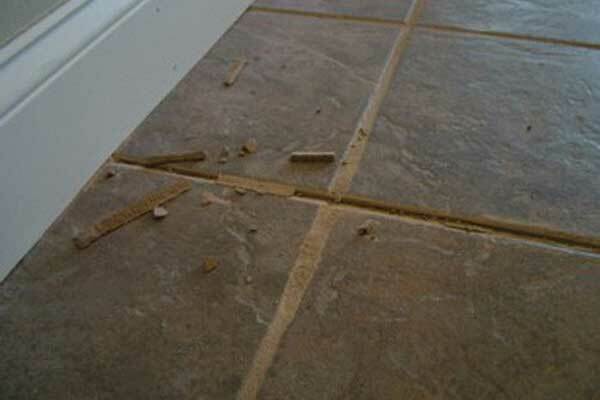 We can fix those areas at the same time to insure a beautiful, consistent tiled floor! Cleaning tile and grout can be a very complex process. Depending on the condition of the grout, type of soiling, color, and so much more we have to change the cleaning solution, type of application, type of agitation, method of rinsing and more! 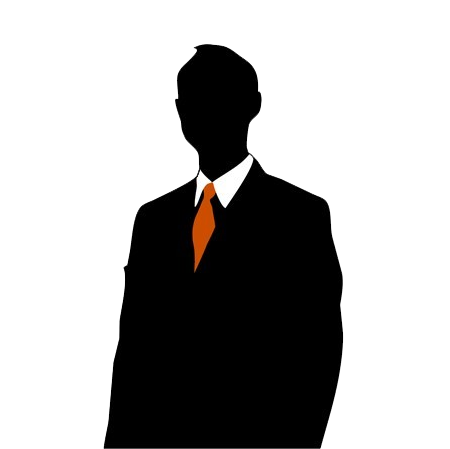 We have methods to clean nearly all situations, which one we use will be dependent on the current condition of your grout and your expected results. 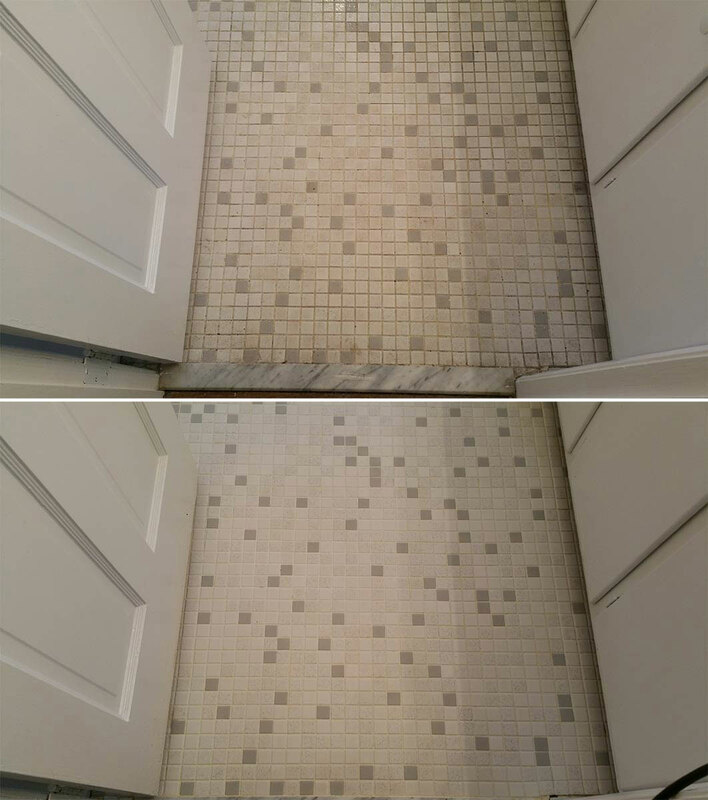 In most cases we can get a like new appearance, however we normally like to take it a step further and protect that grout so it does not soil up quickly again. 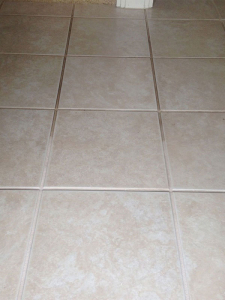 Our basic steam cleaning for tile and grout is ideal if you are looking to remove common stains and get an overall more consistent grout appearance. Depending on the condition we will agitate our cleaning solutions deep within the porous grout lines and using high pressure and heat, rinse thoroughly. 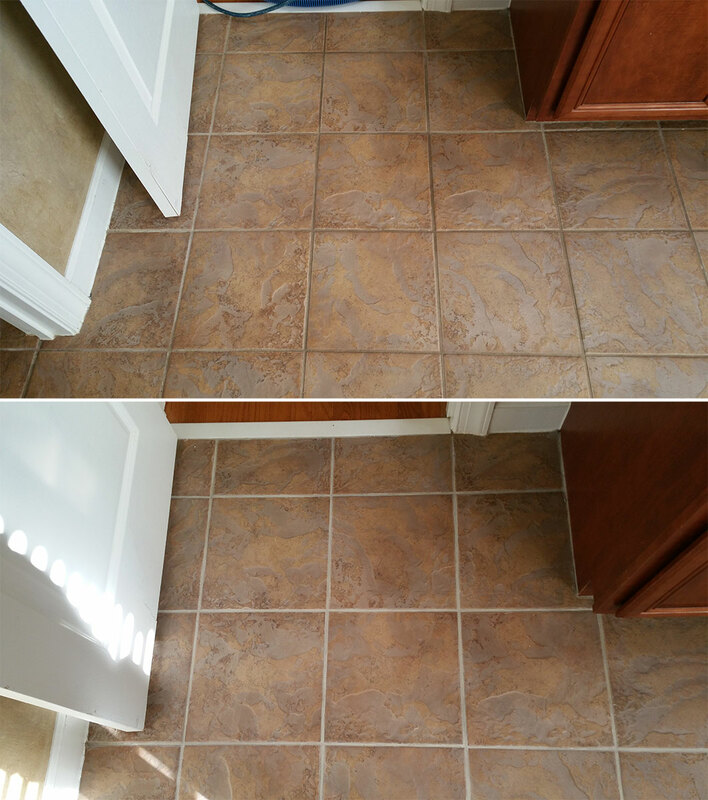 Our restorative grout cleaning process goes a few steps more and insures a like new appearance to grout lines. Using a special etching solutions we can safely remove the top layer of your grout and let the clean layer underneath shine! This process requires that we sufficiently clean the grout lines first with our basic method, followed by our etching solution and then another followup rinse to insure we leave the grout in a neutral pH state to insure no damage or pitting. The process is a bit more labor intensive, but the results are amazing! Once we get the grout clean, either with our basic cleaning method or our restorative, we always suggest protecting the grout! One of the best ways to do that is using an impregnating sealer. 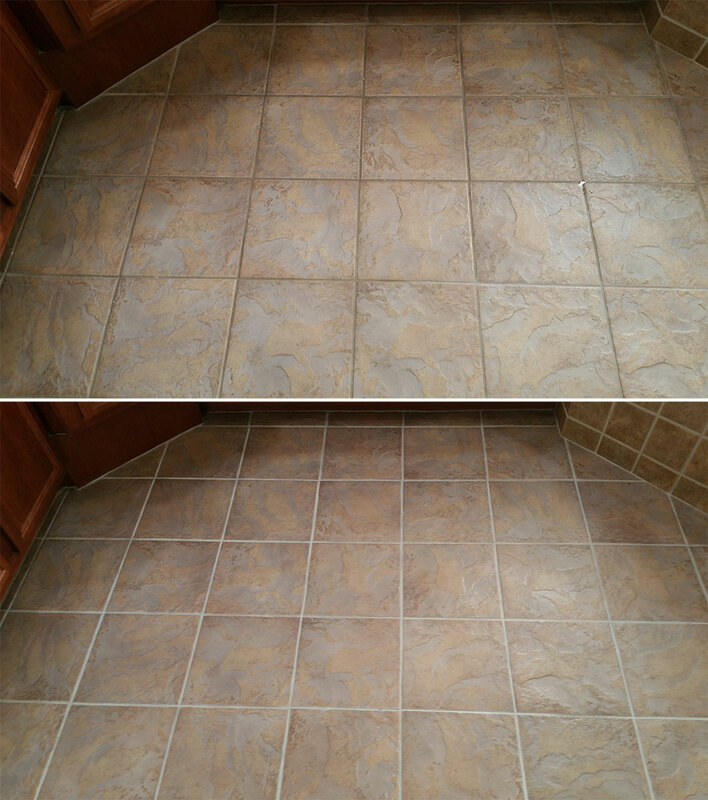 Unlike most consumer grade sealers (which in our opinion offer only a false sense of security) our industrial grade sealer does a great job and lasts quite a while – giving you a very nice protective barrier and allowing more time to remove spills that can cause grout staining. Normally we offer two grades of clear sealing, which protect very similarly, however our premium grade often lasts a few years longer. For the ultimate protection of your grout lines we suggest color sealing. 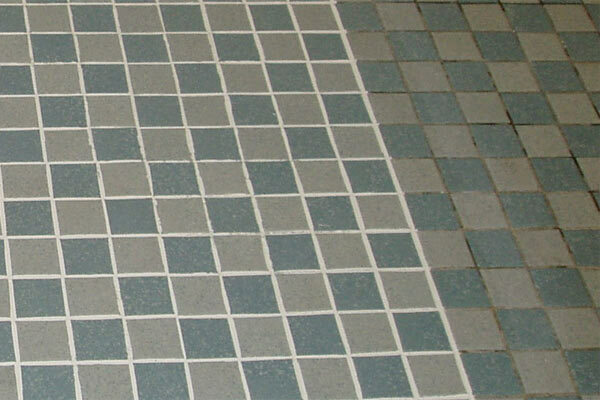 In order to prepare grout for colorseal we must do a full restorative cleaning to insure a strong bond to your grout. Color seal is then mixed on location to match the exact color of your current grout or mixed to any color of your choice (hundreds of options). Once applied, the colorseal will bond deep into the grout and allow the closest thing possible to “stain” proof grout lines. Maintenance is a breeze and with the completely natural look, you will never know it was even there! For a true consistent color throughout your grout lines – there is no better choice than color sealing your grout.